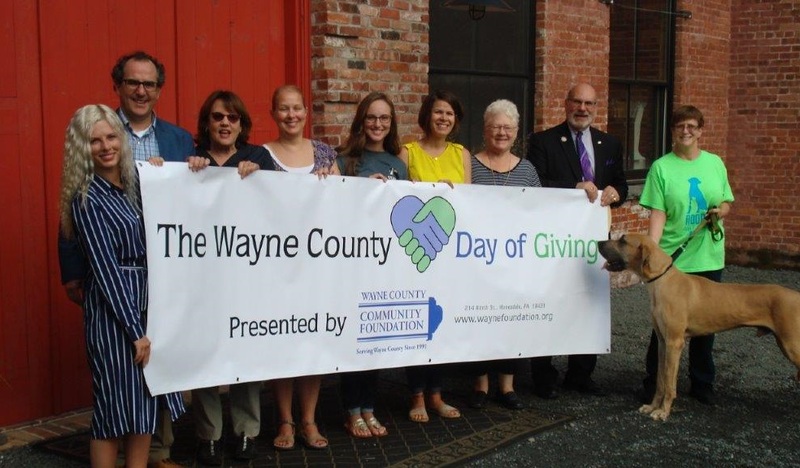 Wayne County’s First DAY OF GIVING! Help SEEDS raise $2000! Wayne County Day of Giving! SEEDS has been serving on a steering committee, with The Cooperage and Lacawac Sanctuary, to launch Wayne County’s 1st (Annual!) DAY OF GIVING! sponsored by the Wayne County Community Foundation (WCCF). Modeled on similar events in other counties, WCCF wants to feature and celebrate some of the exceptional non-profit organizations in our area, and help each of them raise some money! On Fri August 3rd, from 2 pm – 7 pm, before you head out to the opening night of the Wayne County Fair, come and visit the festive and fun event at The Cooperage. A dozen non-profits will be there. Any funds these organizations raise during the entire month of August, will be matched by Wayne County Community Foundation (up to $1000 per organization)! That could mean up to $2000 in total for SEEDS and perhaps other organizations near and dear to your heart! This first Wayne County Day of Giving promises to be fun for the whole family, with music, snacks, prizes and even a few surprises! Help us make this event successful so we can keep doing it and feature even more of our area’s excellent non-profit organizations next year! So come see what all the cool kids are doing!!! 🙂 Learn more about the organizations that are making Wayne County a great place to live, and hey, maybe even get more involved!!! To our local businesses: Please encourage your employees to learn more and get more involved with some of these organizations. How many Boards do your employees sit on? How many are volunteers? This event offers a great opportunity for people to learn more about what suits them, and talk to folks about volunteer opportunities. YES – this event is kid friendly! This is a great way to introduce them to the care and compassion in our County and teach them that is takes people, JUST LIKE YOU, to make a difference!